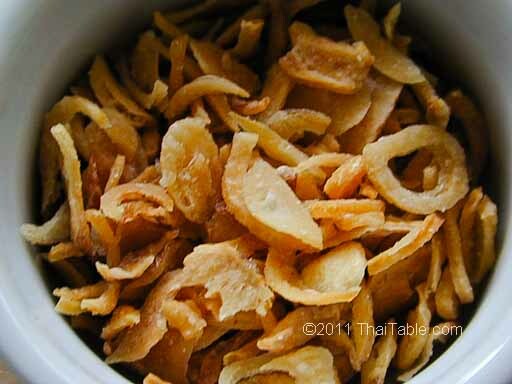 Fried shallot is usually sprinkled on top of dishes. I buy it already made from Thailand in a plastic container. If you are making it yourself, slice the shallot real thin. Fry in oil until crispy. You can use the microwave trick that I recommended for the fried garlic. Remove from oil. Fried shallot keeps for months in an airtight container.